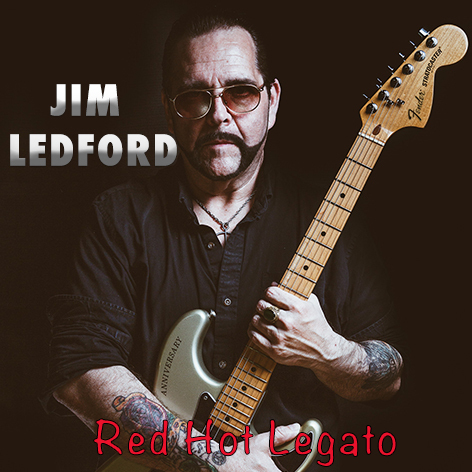 There are a million of guitarists out there but Jim Ledford's "Red Hot Legato" you need to hear! This is a true veteran with a great sounding album made up of some very enjoyable songs and top notch players like Brett Garsed! Haling from a small town in the Hudson Valley, NY. 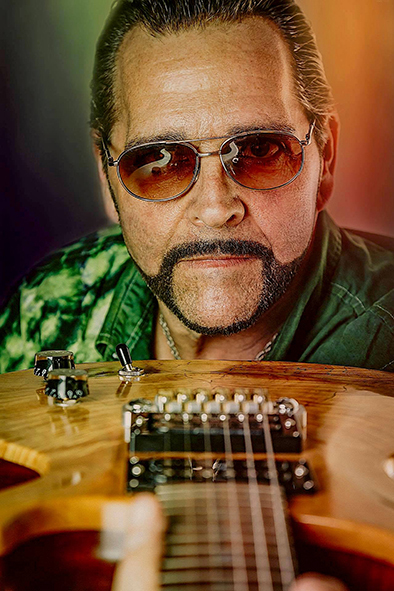 area Jim Ledford has been a professional guitar player and performing musician for over two decades. During his early stage of his career(1980s) was labeled as a very seasoned guitarist. Radio spots were an enjoyable gig for him in the late 80's and 90's. During the 1990's Jim had the pleasure of working with, and recording projects for the audio visual department at the United States Military Academy, West Point NY. He also played warm up for many classic rock acts throughout his career. To name a few would be Foghat, and Three Dog Night. Jim played many venues in the Tri-State area during his longtime career. He has also recorded privately for many professional artists. 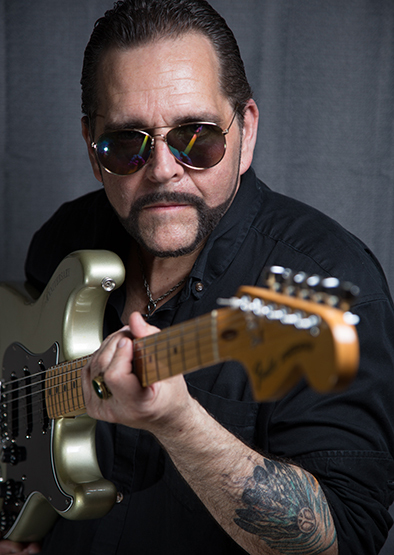 Jim always contributes time to a limited number of students for private guitar lessons producing fine guitar players on the east coast and NY area. Please describe the new album musically. “My new instrumental album has many different musical flavors, as my goal is to capture several different groups of listeners and ultimately produce songs that would bring out a nice wide range of melodic yet still somewhat heavy guitar sounds overall. The main intention musically was to bring back some of the 1980’s hard rock guitar vibe, and or metal guitar sounds. Yet still incorporating some of my recent past melodic recordings. It involves a lot of different legato styles and solo work on the guitar, and that’s where the album name came into play as well. If you had to choose one artist (I know this is hard) but if we had to say "recommended for fans of XXXX" who would that be? What was the goal with making this album? “I wanted to bring back some heavier old school hard rock guitar feel, while still maintaining a sense of melodic overall flow. Its a strange combination musically, yet it does work together on this album. Any specific influences towards music. What have the different musicians contributed to the result? “Blood Red Mira” Jim Ledford on all guitars and bass. “The Mercury Opera” Jim Ledford on all guitars and drums. Domenico Citriniti on Bass and Synths. “Catholic Girls” Jim Ledford on guitars. 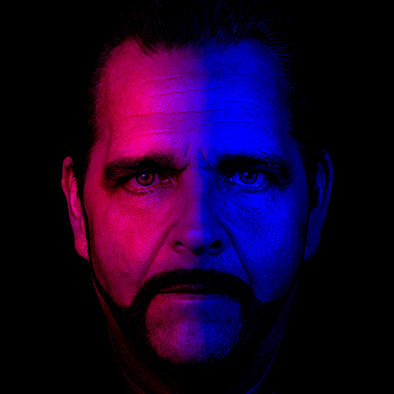 Marek Stycos on guitars, bass, drums. Song originally written by Marek Stycos. “Eyes In A Far Away Dream” Jim Ledford all rhythm and melody guitars, bass. Featuring Brett Garsed on opening and main guitar solos. Jim Dooley on drums. “Close To The End” Jim Ledford on all guitars, drums and keys/synths. Domenico Citriniti on bass. “Voodoo Lust” Jim Ledford on all guitars, bass and synths. Jim Dooley on drums. “Drift” Jim Ledford on all lead guitars and drums. Jimmy Ledford III on all rhythm guitars. Rich Wagner on bass. “Tenth Passage East” Jim Ledford on all guitars, keys and drums. Domenico Citriniti on bass. “Alien Cat Thing” Jim Ledford on all guitars, synths and bass. Jim Dooley on drums. “Walking Beside You” Jim Ledford on all guitars, synths and keys. written by Jim Ledford except for “Catholic Girls” which was written by Marek Stycos. Jim Ledford: Lead and Rhythm Guitars, Bass, Drums, Keys.